According to the CDC, teens between the ages of 16 and 19 are at higher risk of getting into a car accident compared to any other age group. Unfortunately, car accidents cut short many young, promising lives. Teenagers often fall prey to car accidents, and suffer serious injuries, while others are more unfortunate and lose their lives. According to the Centers for Disease Control and Prevention, car accidents continue to be among the leading causes of death among teens across United States. This is a distressing statistic, especially considering the fact that most of these accidents are preventable. This means, every time a teen drives a car, there is a risk of an accident that can change his/her life forever. Teens can either be victims of a collision caused by another driver or can be the ones responsible for an error that causes the accident. 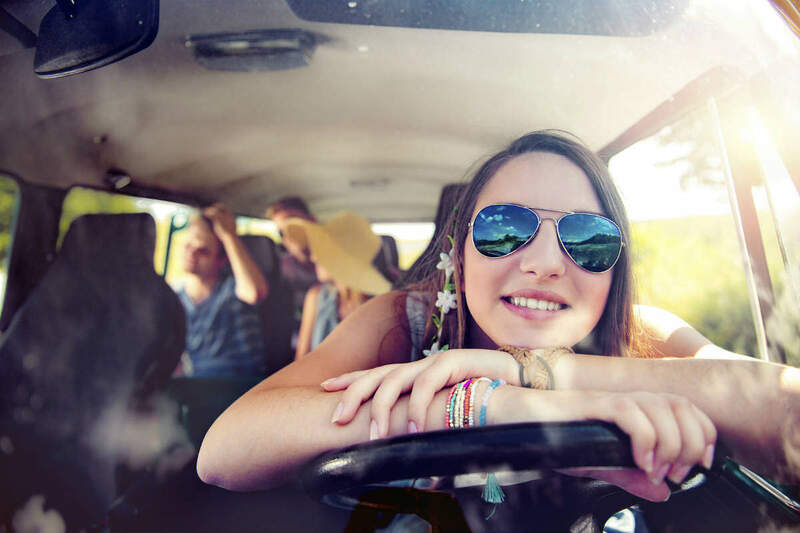 Based on data compiled by CDC for 2013, teens in the age group of 16-19 were at the highest risk of getting into an accident compared to drivers in any other age group. Also, for every mile driven, teens are 3 times more likely to be involved in a fatal car accident than 20 year old drivers. The CDC has also revealed that the risk of a crash was particularly high within the first month of the teen receiving a license and the risk of an accident increases with the number of teen passengers in the car. Another important statistic is that males in the age group of 16-19 years are twice more likely to get killed in a crash compared to females irrespective of whether the teen is a driver or a passenger. These statistics are startling and a cause of concern for anyone who is a parent of a teen or is worried about their well-being. Understanding the causes behind teen car accidents can help parents and authorities better educate teens on driving safely. Teens are generally less experienced drivers compared to older drivers, which means they are less likely to make the right decisions. Parents of teens should have them practice driving as much as possible and in different situations. The should let them drive in rain, darkness, bad roads and congestion with an experienced driver in the car to provide advice in order to prepare the child to make right decision when they are driving alone. Parents should educate the teens on the risks associated with drunk driving, and strictly advise them against it. In most states, teens are not permitted to have any amount of alcohol in their system if they are driving a vehicle, and in case they do, they may face criminal charges. Parents should also advise their teens against using their cell phones or indulging in any other type of distracted driving. If you or a loved one have been involved in a car accident due to another person’s negligence, contact The Hoffmann Law Firm, L.L.C. by calling (314) 361-4242 or by filling out our online contact form.